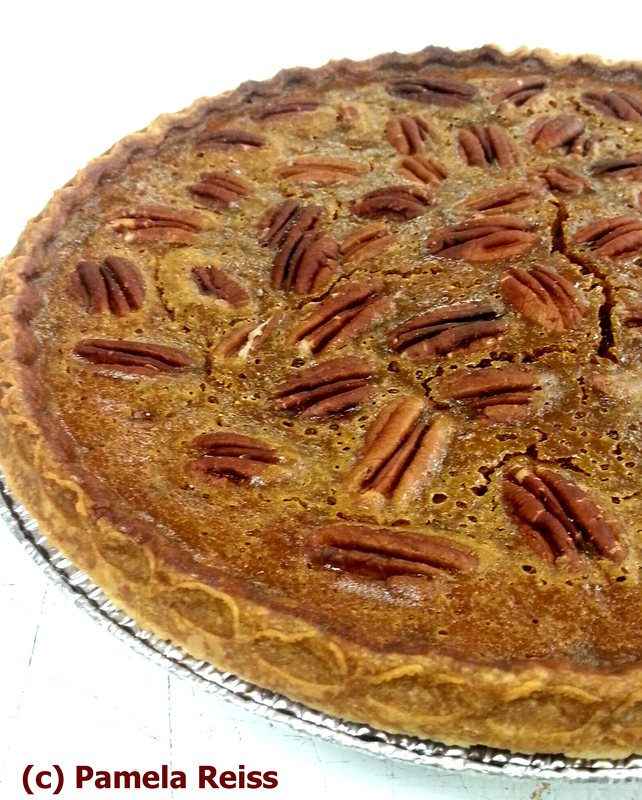 Unless I’m working on a recipe, or baking something for a holiday, I don’t often bake at home. But sometimes the mood hits and I want the house to fill with the aroma of something delicious baking in the oven. Generally, this means I want a simple recipe , something that’s easy enough to prepare during the week, but special enough to make for Sunday morning brunch or to enjoy with a hot mug of tea. 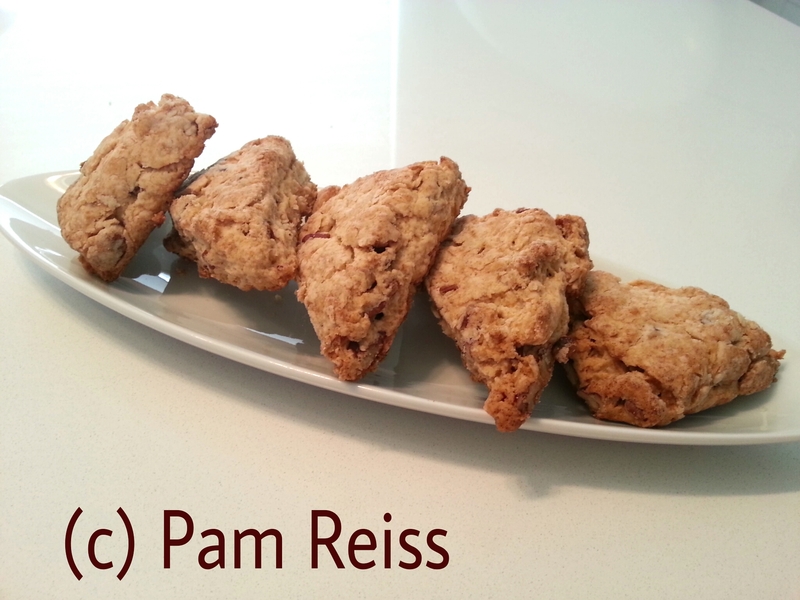 These Maple Pecan Biscuits are just the thing. A really easy recipe that doesn’t require any special equipment and only takes a short time to assemble and bake. These are on the rustic side, so don’t waste time trying to make them look perfect. The dough shouldn’t look uniform when it’s ready to bake — you should be able to spot little pieces of butter mixed in with the chunks of pecans. And when they’re done, eat them while hot and crumbly with a little butter and a warm drink to wash it down. Preheat the oven to 350°. Place the pecans on a baking sheet in a single layer and toast the nuts for 5-7 minutes, or until they are just starting to brown. Set aside until cool. Increase the oven temperature to 400°. In a mixing bowl, stir the flour, baking powder, baking soda, salt and brown sugar together. 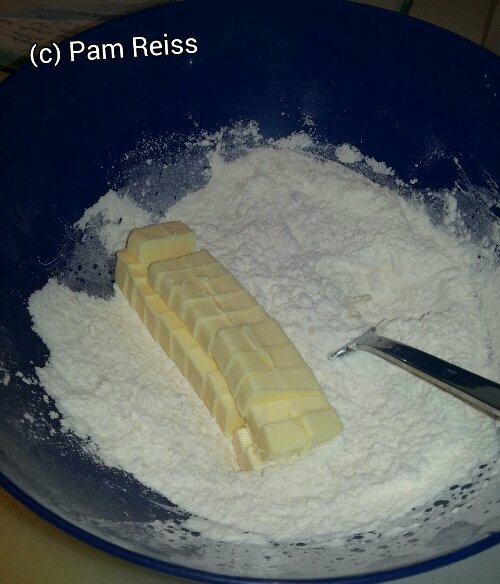 Add the butter and use a pastry cutter, forks or your fingertips to work the butter into the dough. You want the work the butter into pea-size or slightly smaller pieces, but not completely incorporated into the flour. In a measuring cup combine the maple syrup and milk and mix. 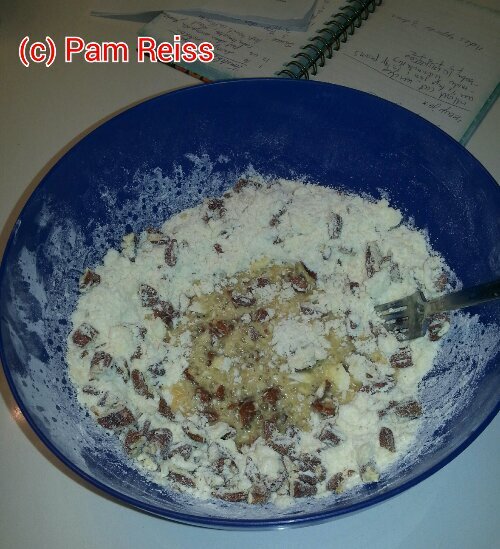 Pour into the dry ingredients and use a fork to combine. Use your hands to bring the dough together and then turn it out onto a baking sheet lined with parchment paper. 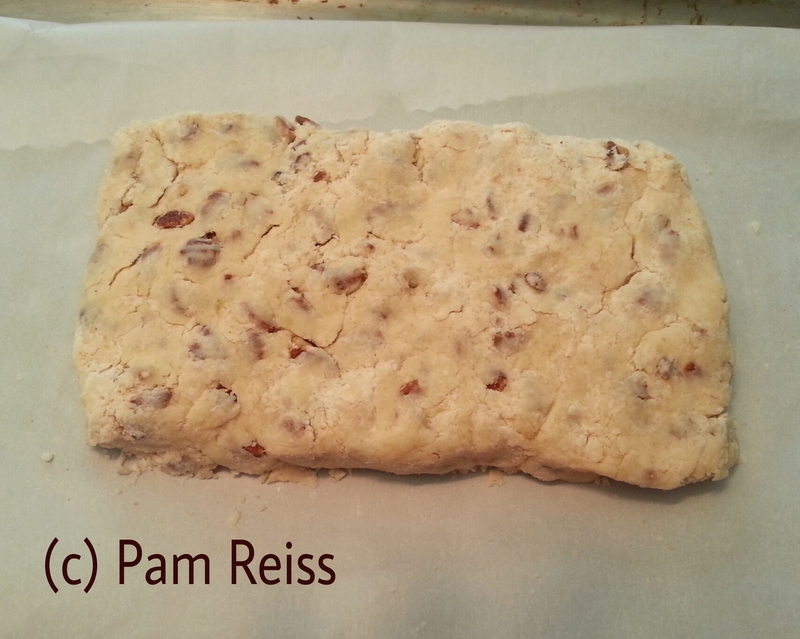 Pat the dough into a rectangle that has a uniform 1″ thickness. Cut the rectangle into 8 squares, then cut each square in half, into triangles. Move the pieces around on the tray so that there’s room between all of them. 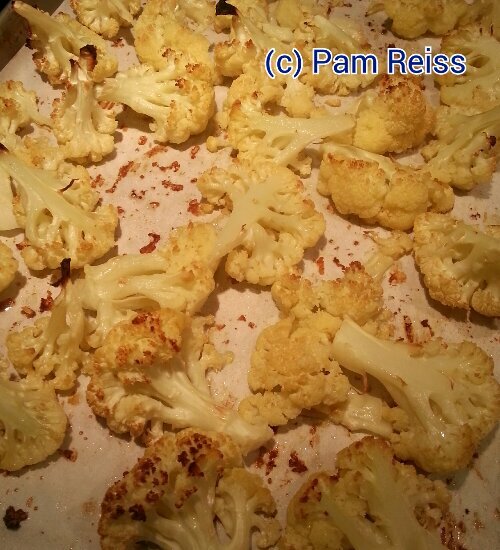 Place in the preheated oven and bake for 16-20 minutes, or until golden brown. Serve hot out of the oven on their own or with some butter. Though they will keep for a couple of days if they’re well wrapped, these really are best when served fresh and still warm. I’m going to be honest with you. 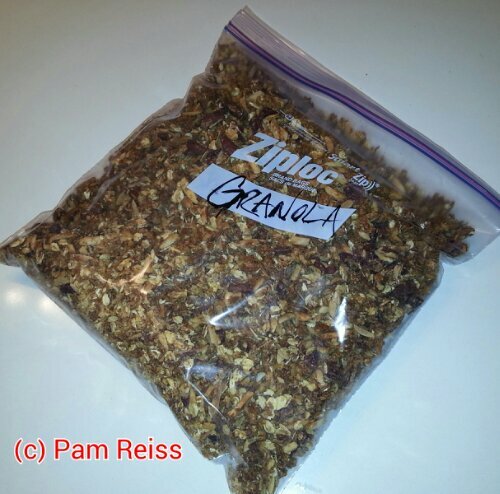 I love my homemade granola so much that I think I had it for breakfast every day for about six months (with some Greek yogurt and fresh berries) until I finally got sick of it and (thought I) never wanted to see it again. 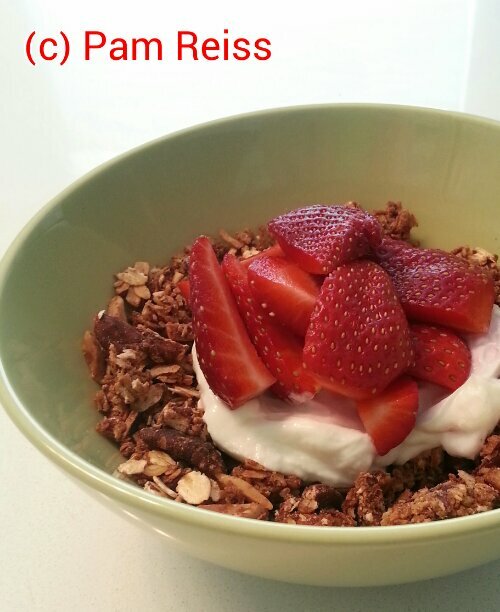 Then, after going on a granola fast for a few months, I woke up one day and realized that I really missed it. Here’s what I love about it: it’s filling and delicious and flexible. I’m sharing a recipe with you (below), but just take it as a guide. Add or replace nuts, spices, grains or anything else you like. Just stick with the basics — start with oats, add nuts and or coconut, spices, grains, some fat and a sweetener. You can add dried fruit, but don’t add it at the beginning. Stir it in for the last 10 minutes of baking. And make big batches — in a freezer bag or container this stuff can hang out in the freezer for a couple of months. 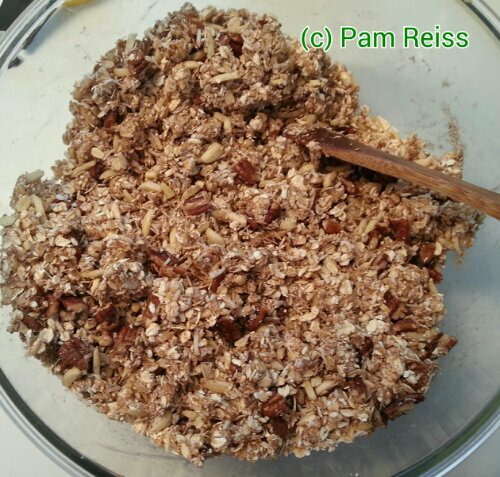 In a large mixing bowl, use a spoon to mix the oats, coconut, almonds, pecans, salt, cinnamon and allspice. Add the oil, vanilla and corn syrup and mix until everything is well incorporated. Spread the mixture out on two baking sheets lined with parchment paper. Bake for 20 minutes, then stir. Switch the position of the trays around, then bake another 20 minutes and stir. Switch the trays around one more time and bake another 20 minutes or until golden brown (if you’re adding dried fruit, add it after 50 minutes or total baking time — then bake another 10 minutes or until done). Let cool completely and package in freezer bags or an air-tight container. 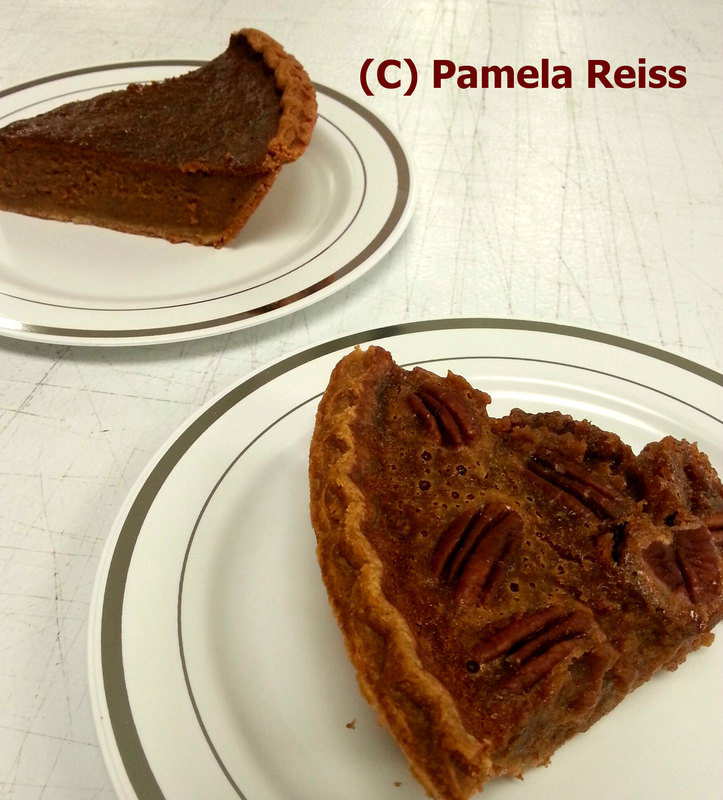 Can stay on your counter for a couple of weeks or in the freezer for a couple of months. 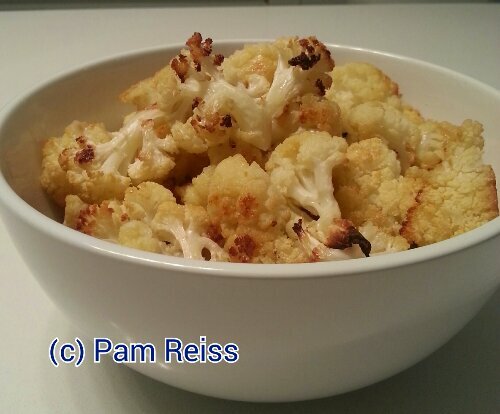 My favorite way to have this is with some Greek yogurt and lots of fresh, ripe berries. 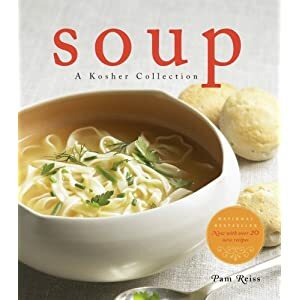 On one hand, it seems like Passover has been over for ages. On the other hand, we’re just finally getting back into the normal pace of things at work. It’s amazing how long it takes to get things back to normal once the holiday is over. As I get a little distance from Pesach I’m beginning to think about getting some new posts done. I have some things lined up, but are there any requests? Let me know if you’d like to see something on the blog and I’ll see what I can do (no guarantees). 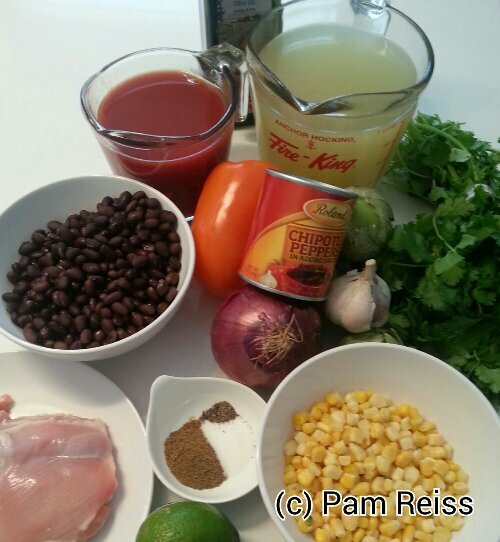 I love Tortilla Soup and make many different yet similar versions of it. What’s so great about Tortilla Soup (in my mind, at least) is that it’s a bowl of hot, slightly spicy (how spicy is up to you), filling soup that’s just what I want on a cold winter day, yet the flavours take me to southern California and I can pretend I’m sitting in the sun rather than shivering in the ice and snow. The chipotle peppers in adobo sauce are a new obsession for me, but if you can’t get them, don’t want to use them because they’re too spicy or don’t like them, simply leave them out and add 1/2 – 1 tsp. chili powder. If you have it, add 1/2 tsp. of smoked paprika as well. The fresh, cool avocado that I add when serving the soup is something new for me. The last couple of times I’ve made this soup I’ve added the avocado and love it. The creamy, cool avocado is a great addition to the spicy, tart soup flavours. 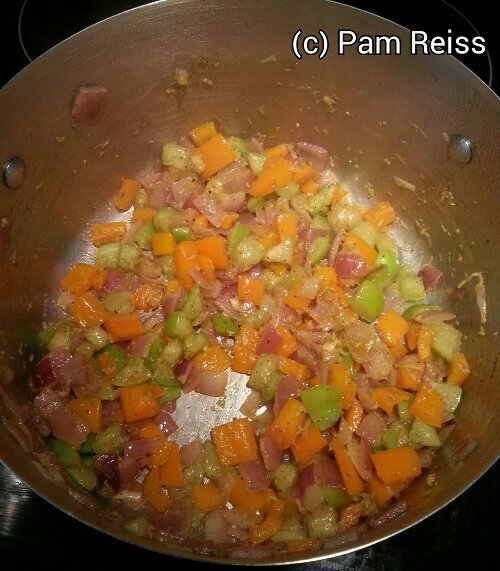 Over medium heat, saute the onion and orange pepper in the olive oil for 5-7 minutes, until soft. Add the garlic, cumin, salt, black pepper and the tomatillo and cook another minute. Add the chipotle and the adobo sauce and stir through. Add the stock and tomato juice, cover and bring to a boil on high heat. Reduce the heat to low and simmer for 15 minutes. Add the chicken and beans and cook for 2 minutes, then add the corn. Cook another 8-10 minutes, or until the soup just comes back to the simmer, the corn is hot and the chicken has cooked through. Add the lime juice and cilantro, stir through and taste, checking the seasoning and adjusting if necessary. 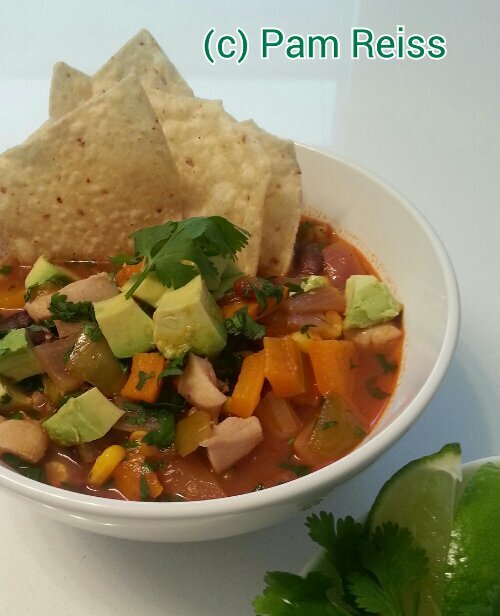 Top each bowl with diced avocado and serve with tortilla chips and extra lime wedges and chopped cilantro on the side. When I was younger we had a baker that used to make Cowboy Cookies. 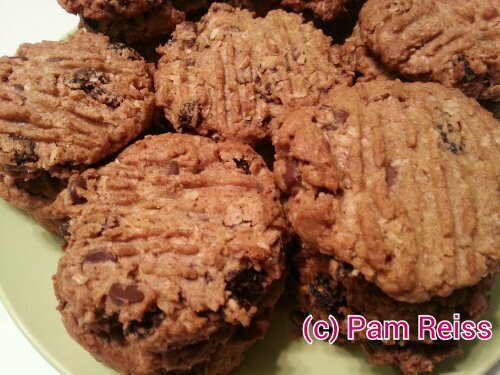 I don’t know where the name came from, and an online search doesn’t come up with much, but I remember that they were huge oatmeal cookies that had chocolate chips and raisins in them. Perhaps they got their name because of their size and heartiness, making them a great snack for a cowboy. Another name for these cookies could be the Everything But the Kitchen Sink Cookies — but I like to think of them as an All in One cookie. This recipe combines a peanut butter cookie with an oatmeal raisin cookie and a spice cookie and a chocolate chip cookie. These cookies are great as they are, but there’s plenty of room to play around with the additions. Replace the chocolate chips and raisins with dried cranberries and pecans or slivered almonds and apricots — or any other combinations you can think of. The ingredient list calls for almond butter, but I also make them with peanut butter and like them that way too. The recipe makes approximately 24 cookies — they will keep in the freezer for a few weeks if they’re well wrapped. 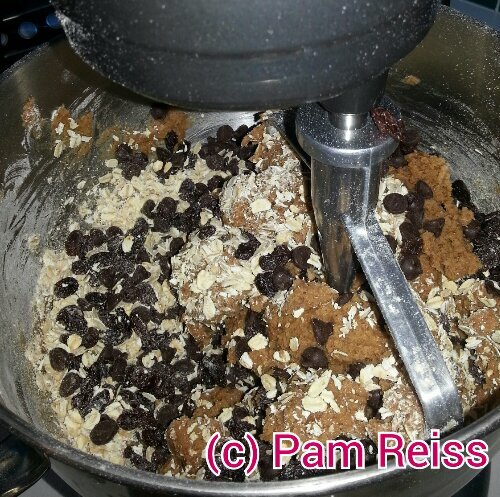 Using a stand mixer with a paddle attachment, cream the butter and two sugars together. Add the almond butter and mix to combine, then the egg and vanilla. Make sure everything is thoroughly mixed together. 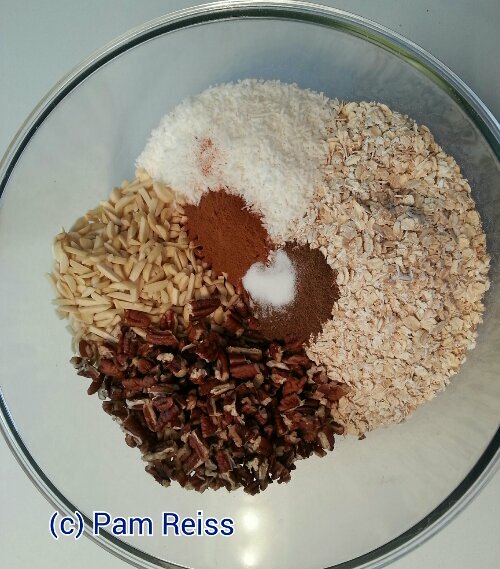 In another bowl, whisk the flour, baking powder, baking soda, salt, nutmeg, cinnamon and allspice together. Add the flour mixture to the stand mixture and mix on low until combined. 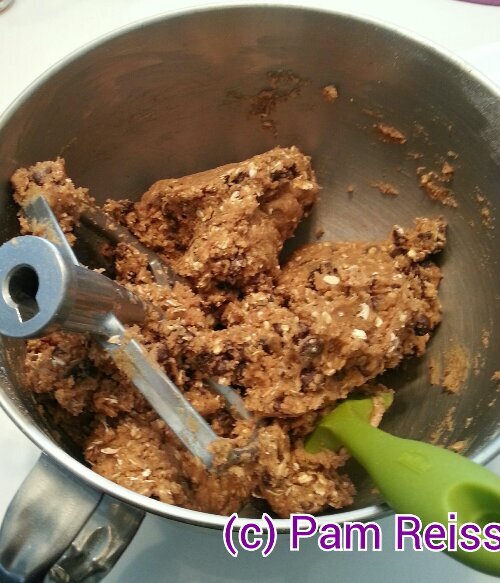 Add the oats, chocolate chips and raisins and mix on low until they’ve all been incorporated. The dough will be very thick. 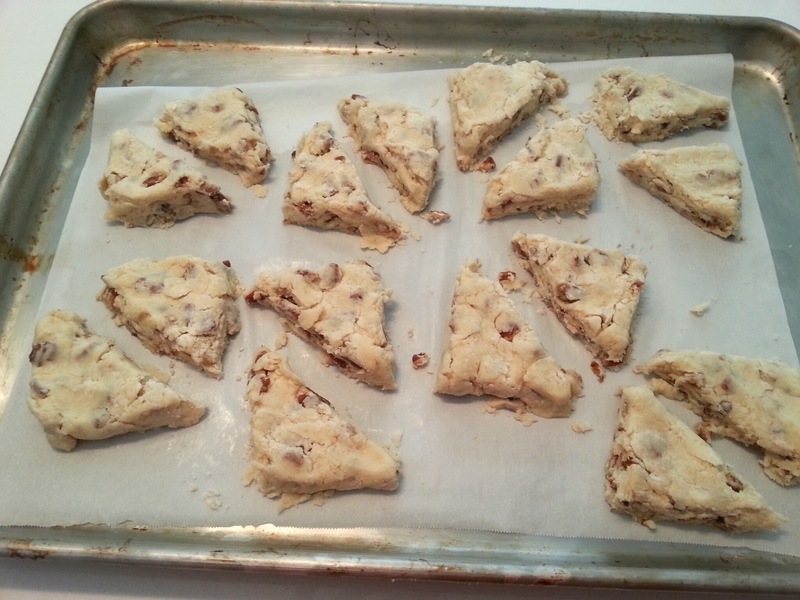 Line two baking sheets with parchment paper and use two spoons to portion the dough into approximately 2 Tbsp. balls. Use a fork to press the balls down and flatten each cookie, making sure you leave about 1 inch between the cookies. Bake one sheet of cookies at a time on the middle rack of the oven for 17-21 minutes, or until the bottoms of the cookies are golden brown. Remove and cool. 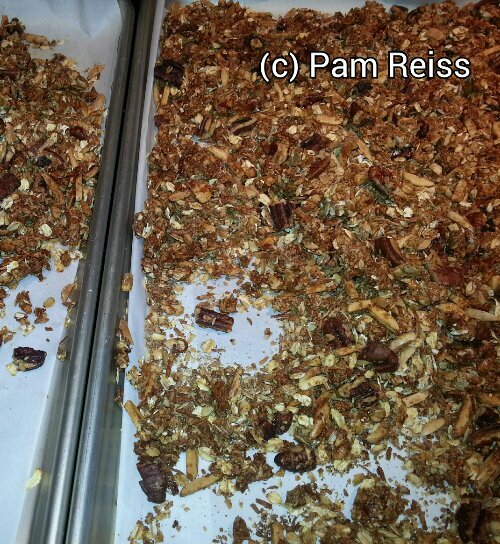 Store in an airtight container for 2-3 days, or in the freezer, well wrapped, for a few weeks. 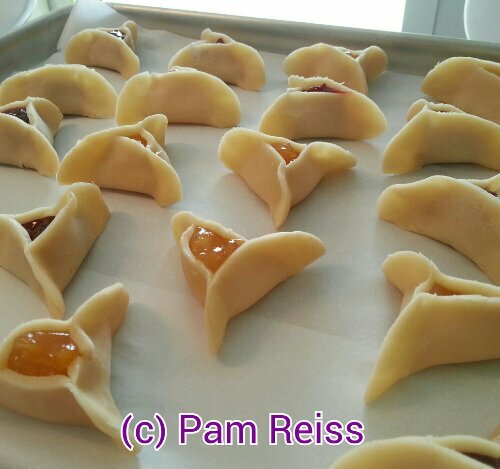 Through the years I’ve tried several different types of Hamentashen. Some of my favorites include almond pastry with apricot filling, gingerbread pastry with pear filling, cream cheese pastry with any fruit filling, yeast pastry and chocolate pastry with cherry filling. Though all good, sometimes I think there’s nothing better than a plain-old-simple-pastry with assorted fruit fillings. 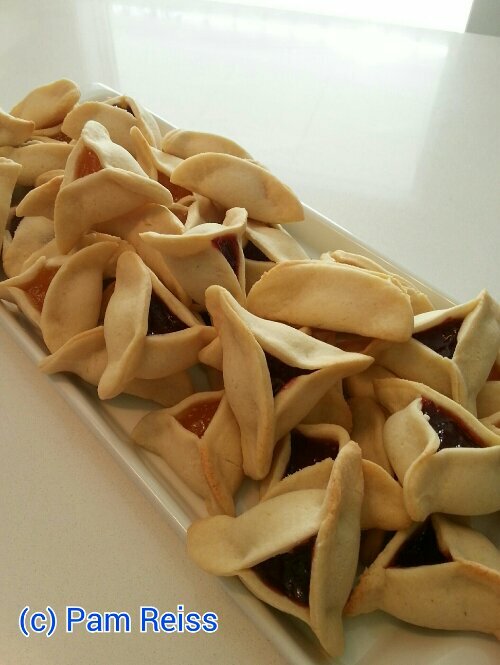 Here’s my recipe for Simple Hamantashen dough. You can fill these with anything you want — jam, pie filling, chocolate, etc. I’ve made my own apricot, pear, poppy seed, prune and other fillings, but there are lots of great fillings out there, ready to go. Use whatever you like. I use lemon zest in the recipe because I really love the hint of lemon flavour it adds to the cookies, but you can leave it out and they’ll still be delicious. Using an electric mixer or a stand mixer with the paddle attachment, cream the margarine and sugar together until light and fluffy. Add the eggs and vanilla and mix until incorporated. Add the lemon zest, baking powder and salt and mix through. Add the flour and mix on low until it’s all combined and a ball of dough forms. 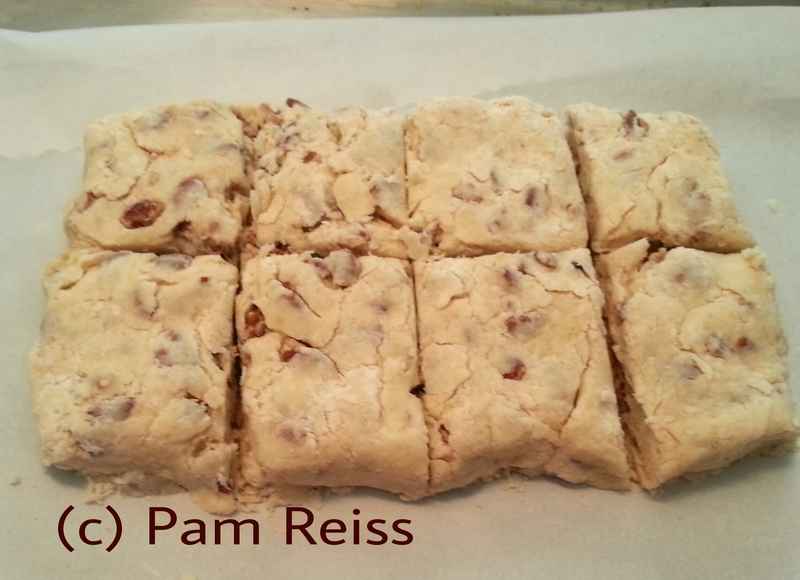 Divide the dough into 2 sections, setting one aside. 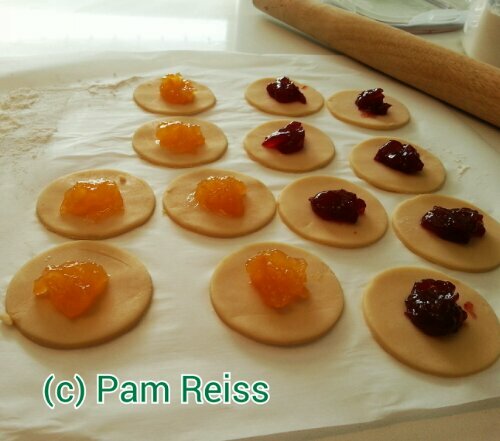 Roll the other section approximately 1/8″ thick on a well-floured counter. Use a cutter to cut out 2 1/2″ – 3″ circles. You can keep the scraps and re-roll them once. Place about 1 tsp. of a filling of your choice in the center of each circle. Bring three sides of the dough together to make a triangle. 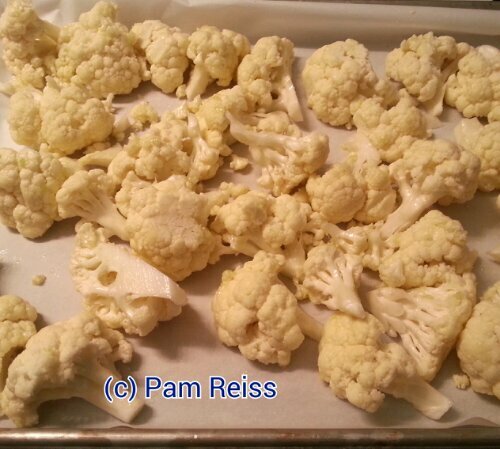 Pinch the three corners together and place on a baking sheet lined with parchment paper. Continue with the rest of the dough. Place the hamantashen in the oven and bake 15-17 minutes, or until the bottom and edges are golden brown. You can make the dough the day before you want to make them, keeping it in the fridge, well wrapped. Makes approximately 4 dozen hamantashen.